Soprano Jennifer O’Loughlin has received critical acclaim for her performances in Europe, America, and Japan. In 2015, she made a series of successful debuts beginning with Adele in Die Fledermaus at the New National Theater Tokyo followed by Pergolesi's Stabat Mater with the RAI National Symphony Orchestra in Turin and Fiordiligi in Cosi fan tutte as well as Amina in the award winning production of La Sonnambula both with Gärtnerplatztheater in Munich. In addition, Ms. O'Loughlin performed Carmina Burana at the International George Enescu Festival and Handel's Messiah with the Baltimore Symphony Orchestra. Her other important operatic roles include: Konstanze in Die Entführung aus dem Serail, Zerbinetta in Ariadne auf Naxos, Gilda in Rigoletto, Frau Fluth in Die Lustigen Weiber von Windsor, Susanna in Le Nozze di Figaro, and Tytania in A Midsummer Night’s Dream. Ms. O’Loughlin participated in the 2014 Red Ribbon Concert performing the Flower Duet from Lakme with Vesselina Kasarova. Her solo Aria, "Glitter and be Gay” from Candide, received a rousing standing ovation from the Vienna Burgtheater audience. She has performed with the ORF Vienna Radio Symphony Orchestra, the Danish National Chamber Orchestra, the Tonkünstler Orchestra, the Prague Symphony Orchestra, the Lincoln Symphony Orchestra, and at the festivals in Salzburg and Bregenz. 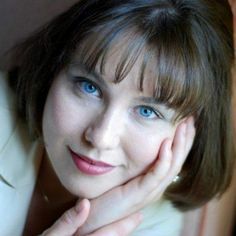 She has collaborated with conductors such as: Zubin Mehta, Daniel Harding, Manfred Honeck, James Conlon, Kristyan Järvi, Fabio Biondi, and Cornelius Meister. In 2013, she received the Maria Callas Prize for her performance of the Mad Scene from Lucia di Lammermoor at the PARIS OPERA AWARDS and debuted Semele in Händel’s Semele with Staatstheater am Gärtnerplatz. She was also nominated as Best Female Lead by the Austrian Music Theater Awards for her performance of Cunegonde at the Vienna Volksoper. Ms. O’Loughlin can be heard on the recordings of Acide by Haydn with the Haydn Sinfonietta Wien (BIS label), Mass by L. Bernstein with the Tonkünstler Orchestra (Chandos label) and the DVD of Rienzi at the Théâtre du Capitole in Toulouse (Opus Arte).